When dealing with health insurance, one term that you may come across is a reasonable and customary fee. It is important to understand just what a reasonable and customary fee is, and how it affects the amount you'll pay for your care. A reasonable and customary fee is the amount of money that a particular health insurance company (or self-insured health plan) determines is the normal or acceptable range of payment for a specific health-related service or medical procedure. Reasonable and customary fees operate within given geographic areas, and the exact numbers of such fees depend on the location of service. An insurer will look at the average fee that all the health providers in a given area are charging for a particular service, and will base the reasonable and customary fee on that amount. In general, the insurer won't pay more than the reasonable and customary fee for a particular service, regardless of how much the medical provider bills. Almost all health plans these days are managed care plans (HMOs, PPOs, EPOs, or POS plans). In managed care plans, as long as patients stay within the health plan's provider network, they don't need to worry about what amount is considered reasonable and customary. Instead, the insurance company will have negotiated a rate with the provider. This negotiated rate is similar to a reasonable and customary rate, except that it varies from one provider to another, even within the same geographic area and for the same insurance company. That's because there are other factors involved in setting the negotiated rate, including things like the volume of business that the insurance company is expected to send to the provider and the provider's track record of successful outcomes. When a patient in a managed care plan receives treatment from an in-network medical provider, the amount the patient has to pay is based on the negotiated rate, and is limited by the amount of the deductible, copay, coinsurance, or out-of-pocket maximum. But if the patient's plan covers out-of-network care (typically only POS plans and PPOs), the reasonable and customary fee will come into play when the patient goes outside the network. That's because the out-of-network provider hasn't signed any contracts with the insurance company, and so there's no negotiated rate. Dinesh has a high deductible health plan (HDHP) with a $5,000 deductible and a PPO network. His health plan will only pay for preventive care before the deductible. He goes to an in-network doctor who charges $300 for the care that Dinesh receives. But Dinesh's health insurer and his doctor have already established a negotiated price of $220 for that service. So the doctor writes off the other $80 and Dinesh has to pay $220, which will count towards his deductible. Now let's say that Dinesh has a large claim later in the year and meets his full deductible. At this point, his health plan starts to pay 80 percent of his in-network costs and 60 percent of his out-of-network costs. Then he decides to see a doctor who isn't in his health plan's network. His insurer will pay 60 percent—but that doesn't mean they'll pay 60 percent of whatever the out-of-network doctor charges. Instead, they'll pay 60 percent of the reasonable and customary amount. According to the Kaiser Family Foundation's 2017 analysis of employer-sponsored health plans, less than 1 percent of covered employees have traditional indemnity plans—almost everyone has managed care coverage instead (this has changed over the last several decades; indemnity insurance has fallen out of favor as health insurers turn to managed care in an effort to curtail costs and improve patient outcomes). But traditional indemnity plans operate differently. They don't have provider networks, so there's no negotiated network pricing either. Enrollees can see any doctor they choose, and after the patient pays the deductible, the indemnity plan usually pays a certain percentage of the costs. But the indemnity plan pays a percentage of the reasonable and customary cost, rather than a percentage of the amount the medical provider bills. You can think of this as similar to the out-of-network scenario described above, since every doctor is out-of-network with an indemnity plan. As with out-of-network providers when patients have managed care plans, a patient with indemnity coverage is responsible for the doctor's charges above the amount that the insurance company pays. The medical provider is under no obligation to accept the reasonable and customary fees as payment in full, and can send the patient a bill for whatever's left over after the indemnity plan pays their portion. 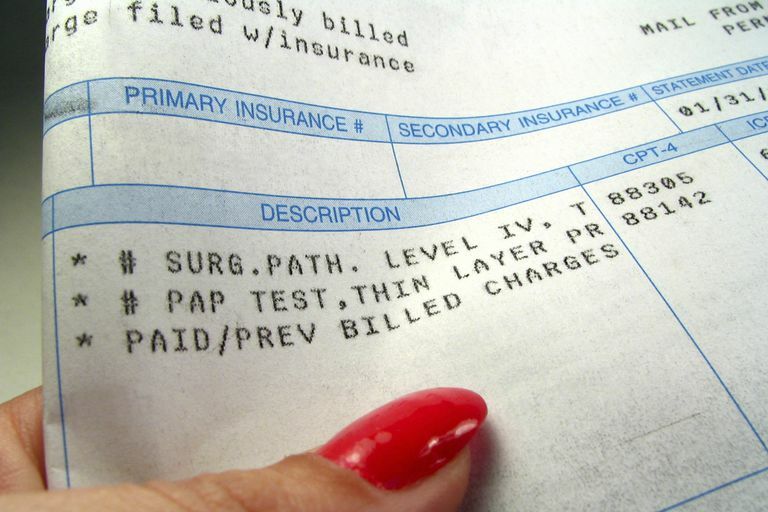 Patients can negotiate directly with the medical provider in this circumstance—some will reduce the total bill if the patient pays cash, for example, or will agree to set up a payment play. Indemnity plans are more common for dental insurance than they are for health insurance, but most dental insurers now use managed care networks, and indemnity plans make up a small chunk of the total. As with an indemnity health plan or out-of-network care on a PPO or POS health plan, dental indemnity coverage operates based on reasonable and customary fees. The plan will typically have a deductible, and will then pay a percentage of the reasonable and customary fee for a particular dental service. The patient will be responsible for paying the rest of the dentist's fee. When your health plan is using reasonable and customary fees (as opposed to a network negotiated rate), it means that there's no network agreement between your health plan and the medical provider you're using. This is either because you're going outside your plan's network or because you have an indemnity plan (keep in mind that if you have a health plan that doesn't cover out-of-network care at all, which is generally the case with HMOs and EPOs, you're going to have the pay the full bill if you go out-of-network; reasonable and customary fees won't be part of the equation, as your insurer won't be paying anything). When the medical provider doesn't have an agreement with your insurer, they might not be willing to send the bill to your insurer. Instead, they may expect you to pay them in full (note that this will be whatever they charge—not the reasonable and customary fee) and then seek reimbursement from your insurance company. If you're receiving medical care with a provider who doesn't have a contractual agreement with your insurance company, make sure you understand in advance how the billing will work. If you're going to have to pay the full bill and then seek partial reimbursement from your insurer, the doctor may let you pay part of it up front and then wait to pay the rest until you receive the reimbursement from your insurer. But again, this is something you're going to want to sort out in advance, so that you and your medical providers are on the same page. Also Known As: A reasonable and customary fee is also commonly referred to as a Usual fee, a Reasonable fee, and a Customary fee. American Student Dental Association. Understanding Dental Insurance. Kaiser Family Foundation. Employer Health Benefits—2017 Summary of Findings. September 19, 2017.